To Book Your MOT Test with Kettering Repair Solutions give us a call on 01536 516332. All our MOT's are done off site. In the UK any vehicle that is over 3 years old is required by law to have a valid MOT certificate. To obtain an MOT Certificate your vehicle has to undergo an annual safety check to ensure that it meets the minimum safety and road worthiness standards. The certificate is issued when it passes. If you undertake a few simple Pre MOT Checks you can avoid your vehicle failing for easily fixable reasons. 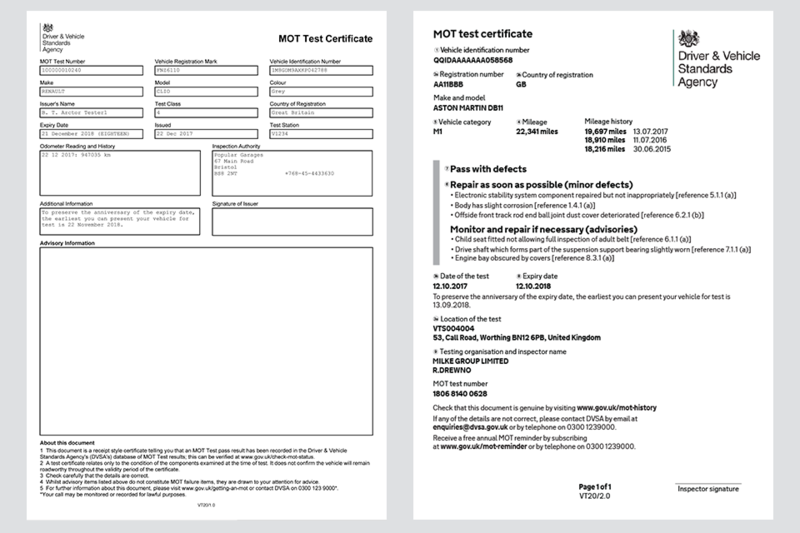 There is also a New Look MOT Certificate which is shown on the right if you click this link. Click here to check when your MOT expires. For any Questions, or if you wish to Contact Kettering Repair Solutions please call 01536 516332 or use our Contact form.